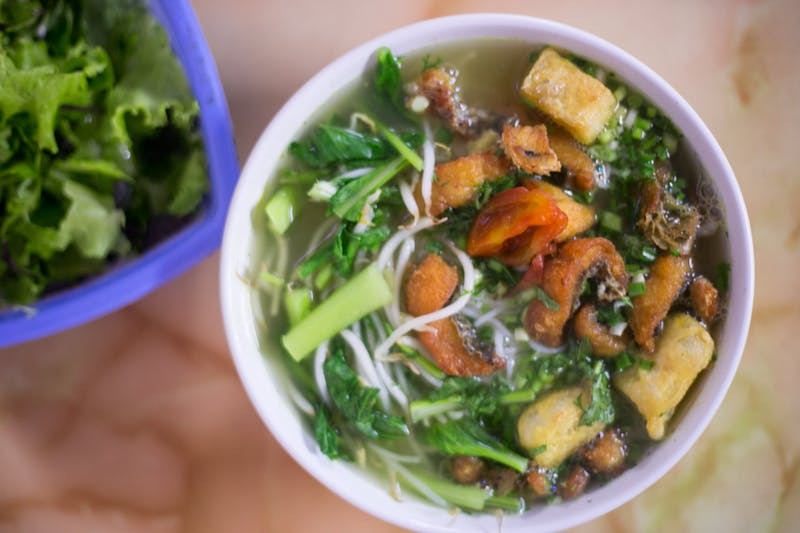 In Vietnam, tofu isn’t relegated to a vegetarian’s dinner plate – it’s a common ingredient often fried and dipped in fish sauce or stewed with pork and tomato. 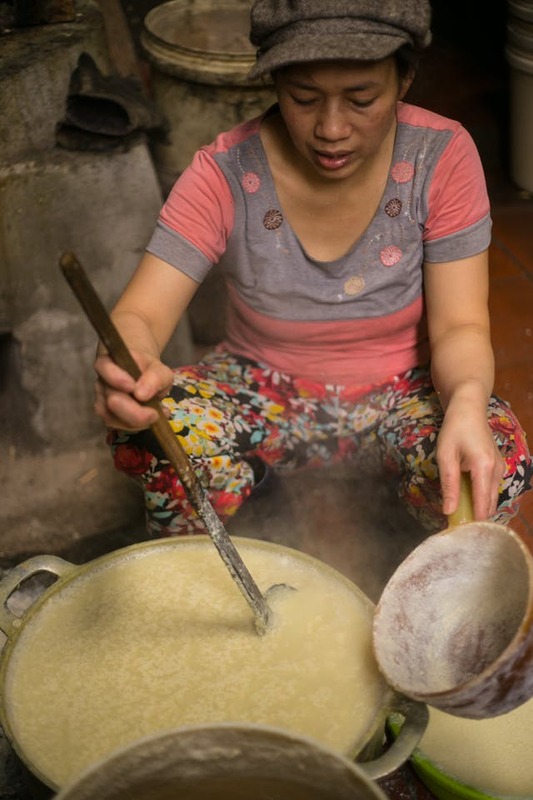 Mo village in Hanoi is well known for its tofu, and I went there to see how it’s made. I researched, shot, and wrote this 3-article series for The Kitchn as part of their Maker Tour series. 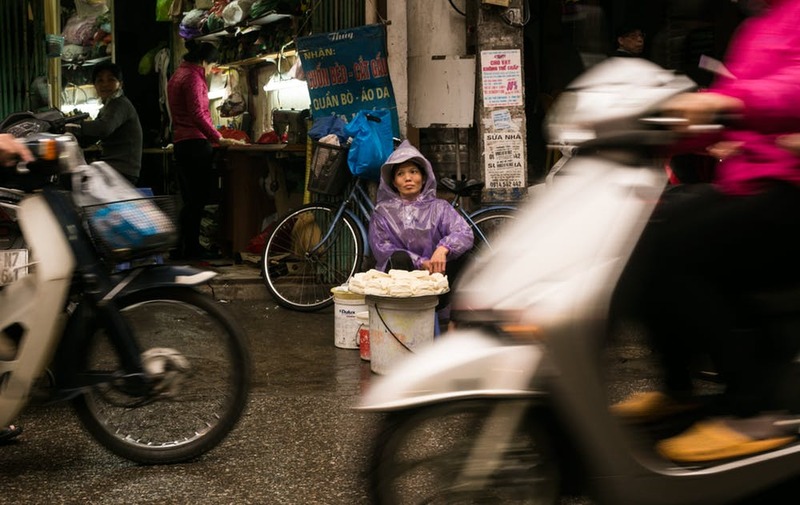 My translator and I hopped on her motorbike and drove to southeastern Hanoi to catch the afternoon’s tofu-making for dinnertime dishes. 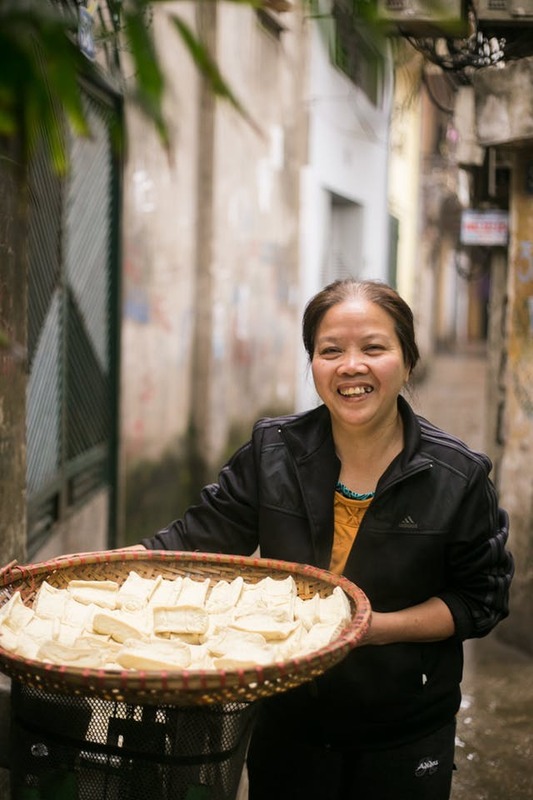 In the southeast of Hanoi, not too far from the banks of the Red River, there's a little village famous for its tofu. 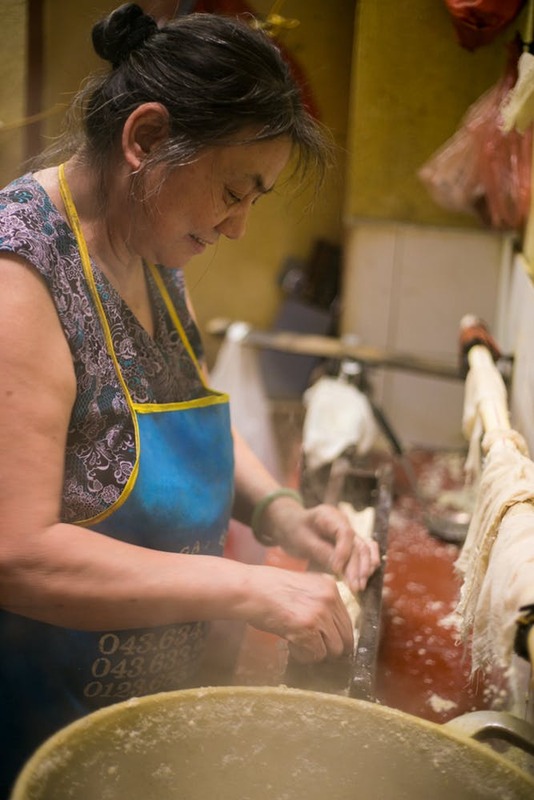 Bags of soybeans grown in Russia, the U.S,, and China come in, and wrinkly blocks of rich, flavorful tofu leave by the wide-mouthed basketful for restaurants, wet markets, and street corners around the city. 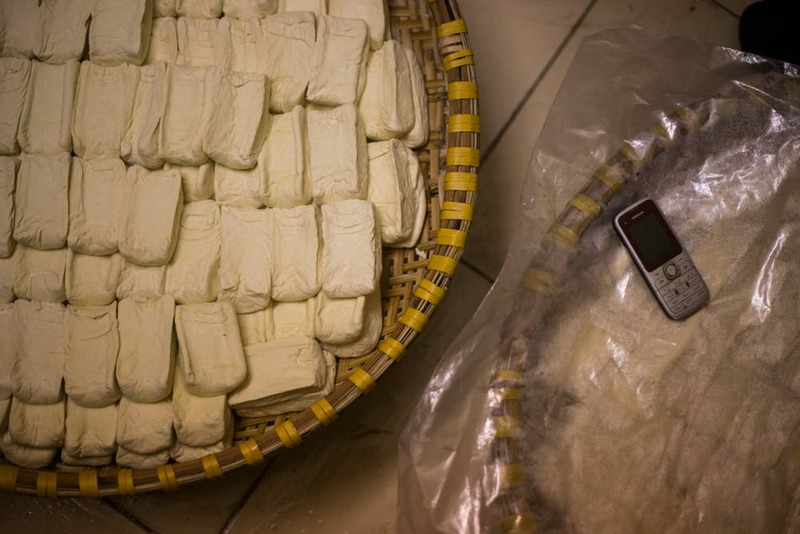 Tofu seems to get a bad rap in the Western world. 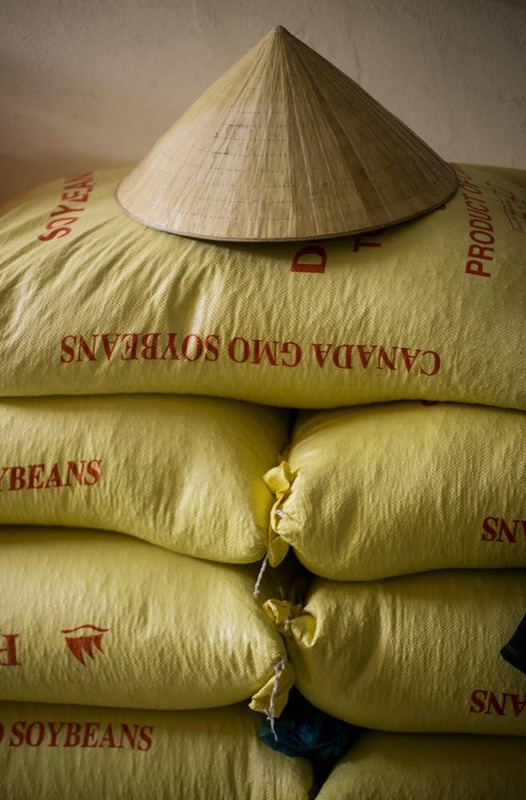 People see it as a pitiful meat substitute reserved for sallow-skinned vegetarians, who must be lacking nutrition and other options to eat mushy white tastelessness. I hate to admit it, but even as a vegetarian, I kind of agreed with them, because I didn't know how to cook it. 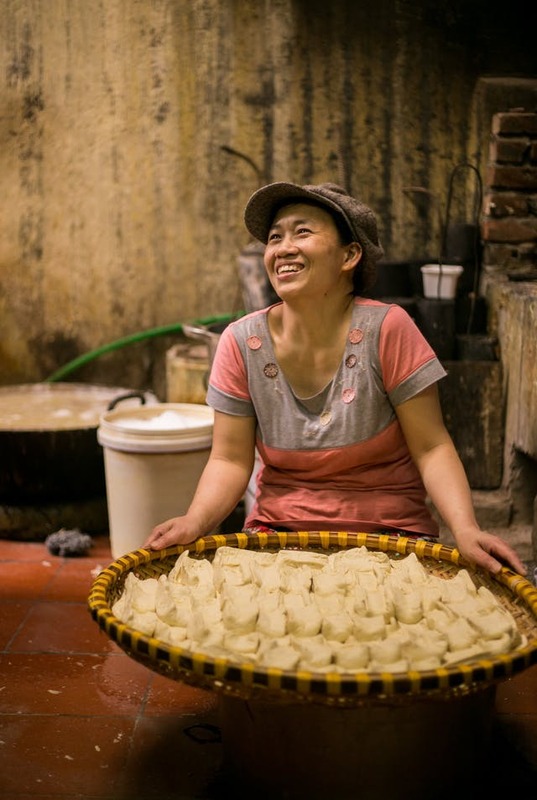 Hoang Tra My has eaten tofu every day since she married into a tofu-making family 27 years ago, and she hasn't gotten sick of it yet. Tofu is a versatile and delicious high-protein food that can be made from just three ingredients. Here are four reasons you should try to make your own tofu at home.